VETS UNITED the Gambia - Welttierschutzgesellschaft e.V. 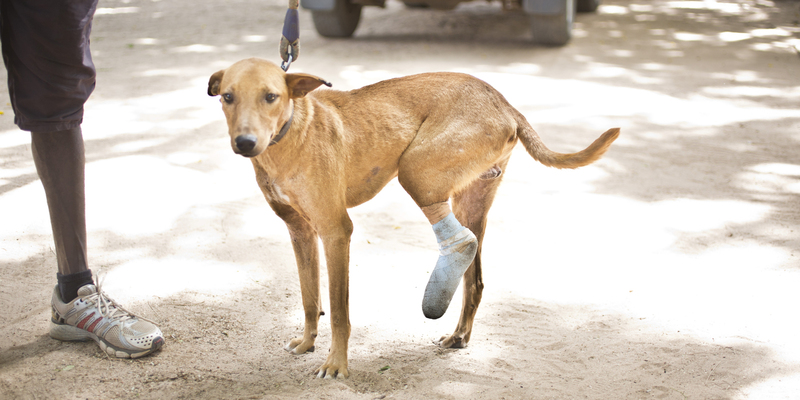 Animal Welfare is a big challenge in the Gambia. 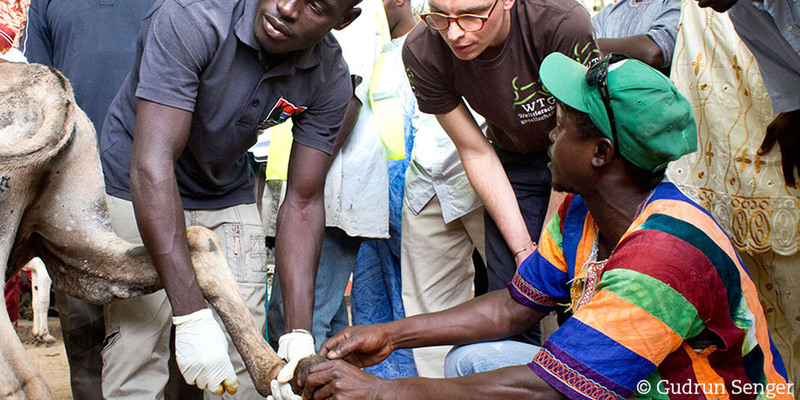 The country only has about 15 veterinarians and no academic institution to train vets. The task of treating an estimated 2 million farm animals and a huge number of stray dogs therefore rests in the hands of the paravets. Paravets are animal health professionals who graduated from college — yet their education did not include animal welfare aspects. As part of the VETS UNITED programme, a new curriculum has been designed to target this problem. Our goal is to enhance the animal welfare knowledge and practical skills of future paravets and raise their awareness of animal welfare concerns. Despite large numbers of tourists — the Gambia remains one of the poorest countries in the world. 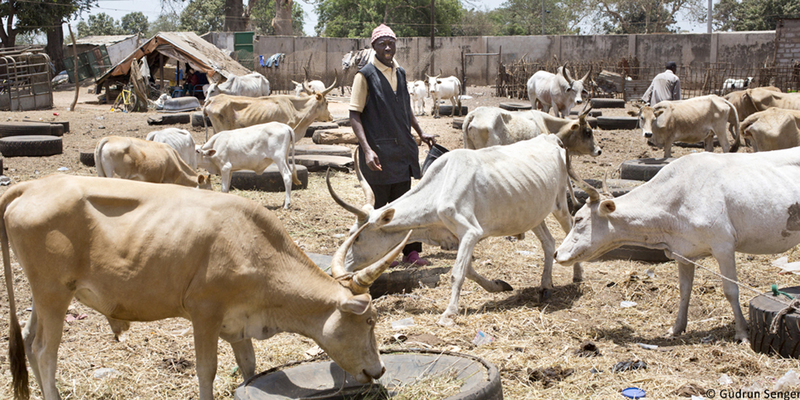 Especially in rural areas people depend on animals for their livelihood. 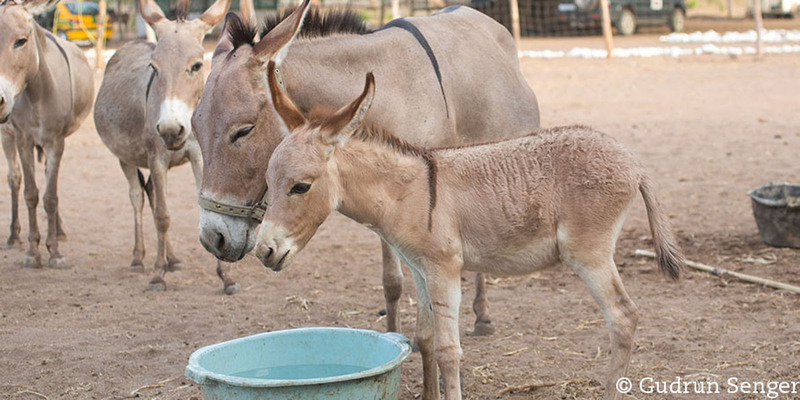 Donkeys and horses are essential for farm work, dogs are kept for protection, goats and cattle provide food. However, the combination of extreme heat, dry pastures and long distances between water sources places a huge stress on the animals. They suffer from malnutrition, parasites and diseases, but rarely have access to veterinary treatment. To make matters worse, the country offers no university education for veterinarians and the few existing practitioners are primarily employed in the more modern, coastal regions. 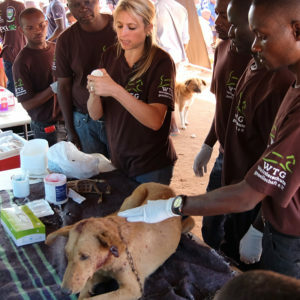 In rural areas, paravets supply veterinary services to the best of their abilities and educate people about the best ways of caring for their animals. Due to large gaps especially concerning animal welfare in the training their performance would benefit hugely from a including animal welfare topics in theory and practice in their training. Since the winter term 2016/17, Dr. Daffeh, a VETS UNITED project manager for the Gambia and Gambian veterinarian, has been holding lectures on the topic of animal welfare. His lectures are open to students of Agriculture at the University of The Gambia as well as students of Animal Health and Agriculture at Gambia College. The syllabus includes a broad range of topics, including the most important aspects of animal welfare, the assessment of animal health and an overview of the country’s animal welfare laws. It also covers topics such as the proper treatment of wounds, bacteriology, parasitology and the most prevalent diseases — often enhanced by practical examples. By now the lectures have become a fixed part of the curriculum at both institutions and are met with lively interest from the students: Dr. Daffeh’s lecture has an ever growing waitlist. The practical course units take place in cooperation with our long term partner the Gambia Horse and Donkey Trust (GHDT). Together we work towards improving animal welfare and access to qualified veterinary treatment in the country. On the property of the GHDT’s donkey clinic, which is located close to the campus of the university, students have the opportunity to apply their theoretical knowledge under the supervision of qualified practitioners. They are able to improve their skills and gain confidence in performing routine procedures, diagnosing different diseases and handling emergencies. As many clinics struggle not only with the lack of trained professionals but also with an insufficient supply of medication, students also learn about preventive measures and the far-reaching benefit of a stress-free and animal-friendly husbandry. Therefore each participant greatly contributes to improving animal health and well-being and increases awareness for this issue in the whole country. Unfortunately, poverty remains one of the leading causes for students to quit their studies. 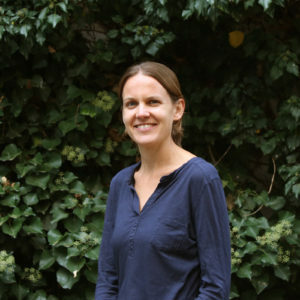 To ensure that students who demonstrate a great affinity for animal welfare can finish their training, a new scholarship was introduced by VETS UNITED in the academic year 2018/19. There are currently ten young Gambian students, whose costs for tuition fees and and addictional allowance for meals, lodging and learning materials are covered. Apart from continuing their good grades, recipients of the scholarship are required to do animal welfare related volunteer work for 60 hours per academic year (e.g. join animal welfare awareness campaigns or join mobile clinics). 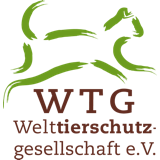 VETS UNITED is a programme developed in cooperation with the Welttierschutzstiftung.